I love homemade holiday decorations, especially those fashioned from natural materials. The scents of the season—evergreen, bayberry, cinnamon, cloves—muster memories, both real and imagined, of an old-fashioned Christmas. While the creative process is part of the pleasure, it’s always nice when you can preserve your handiwork to last for more than one season, which is why I enjoy making pomanders. 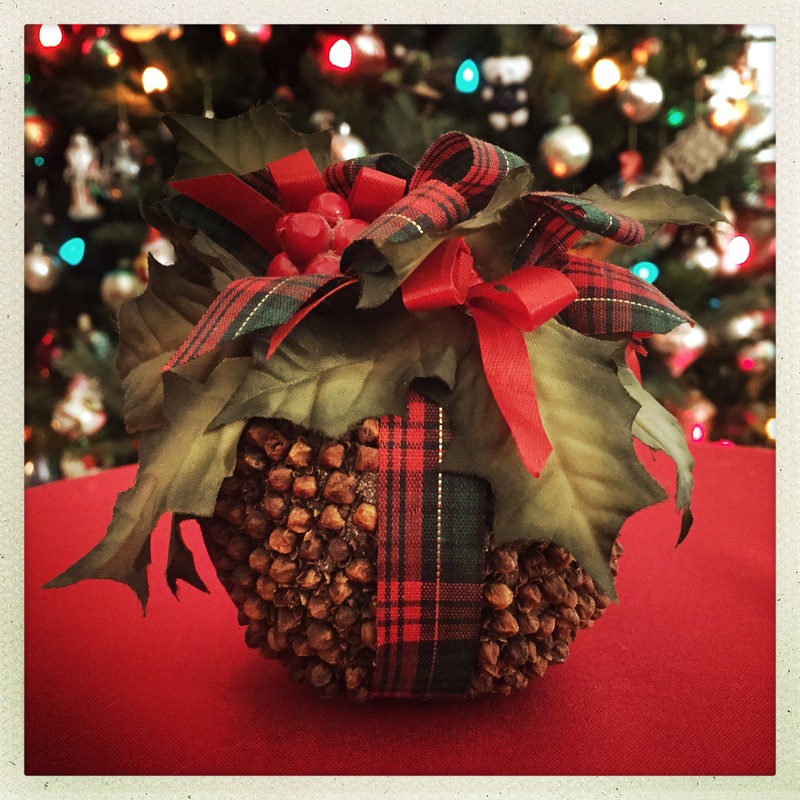 Traditionally, a pomander (from the French pomme d’ambre, meaning “apple of amber”) was an apple-shaped ball of sweetly-scented herbs and spices held together by ambergris. It was carried in a bag or encased within an ornate orb and suspended from the waist or neck. Used since the Middle Ages to mask unpleasant odors and prevent sickness due to “bad air,” pomanders among the wealthy were often made of gold or silver and encrusted with jewels, but by the 18th century they began to take the more common form of the clove-studded orange we know today. In addition to oranges, pomanders can be made from lemons, limes, apples, pears, or kumquats. If you want this fragrant fruit to remain ripe with scent, cover the entire surface with cloves, then roll it in a mixture of ground cinnamon, cloves, nutmeg, ginger, and orris root powder. 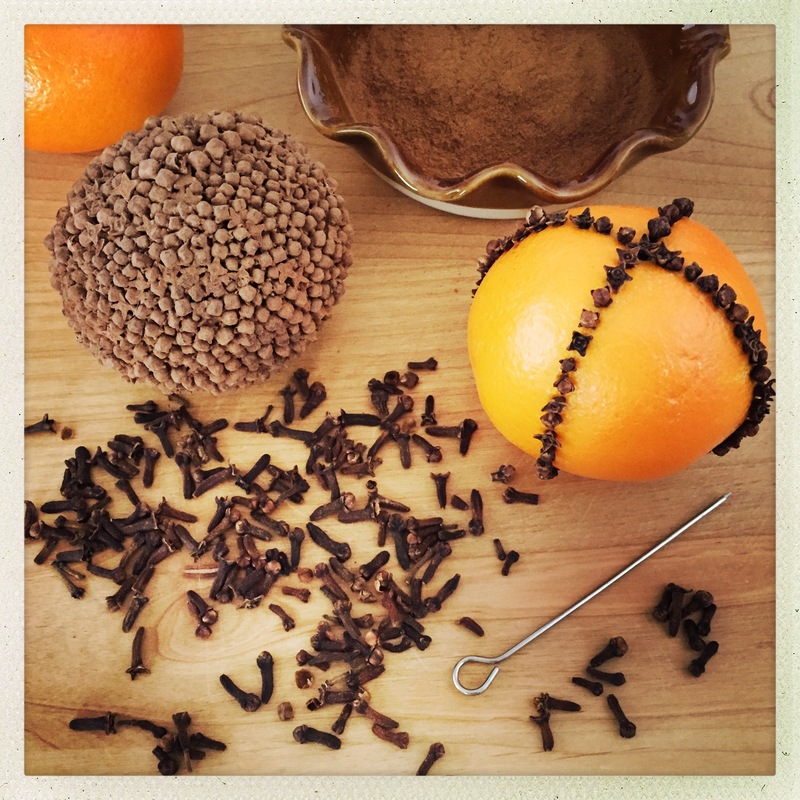 Allow the pomander to cure in the open air for a week and you’ll have an aromatic adornment that can last for years. Pomanders are so easy to make that you can build an entire decorating scheme around them. If you take the necessary steps to properly preserve and care for them, you’ll enjoy the fruits of your labor all season long. Working from the top in a circular manner, poke holes in the fruit with a toothpick or cake tester and insert cloves by the pointed end, pressing in. It will take 30 minutes to an hour (or more) to completely cover the fruit, so put on some holiday music, make a cup of tea or hot chocolate, and settle in to enjoy the process. I find the repetitive method to be meditative and relaxing, which is a nice antidote to the holiday hustle and bustle. When the fruit is covered (or your design is completed), mix the spices and orris root together in a shallow bowl or ziplock bag and either roll or shake the fruit in the powder until thoroughly coated. Tap or brush off the excess and set out to dry for several days. 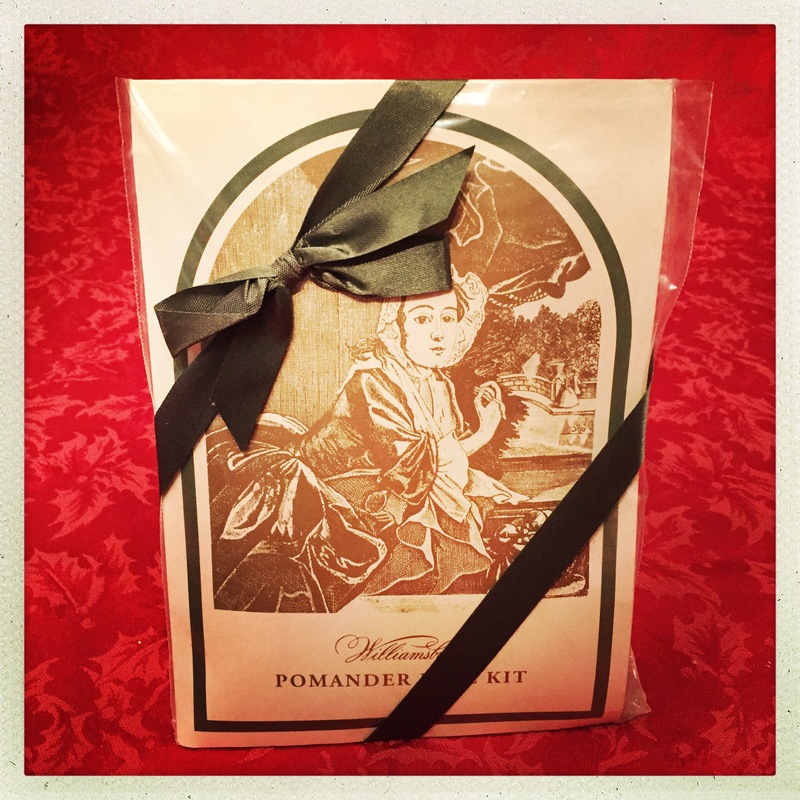 The Williamsburg Pomander Ball Kit is not available online, but can be purchased from Williamsburg Celebrations by calling (757) 565-8642. *Sparsely decorated fruit pomanders won’t last as long as densely covered designs, so keep an eye out for mold. To extend their life, put them in the refrigerator when not on display. †Orris root is a member of the iris family. The powder is used as a fixative in perfumes and potpourri. It is available from Amazon and a number of online retailers. I have a large collection of silhouettes hanging on my bedroom wall. Some are hand-cut antiques, others are recent prints, and a few were created by me. Most are classical portraits of 19th-century men and women, but every October I like to switch a few out for something a shade more sinister. 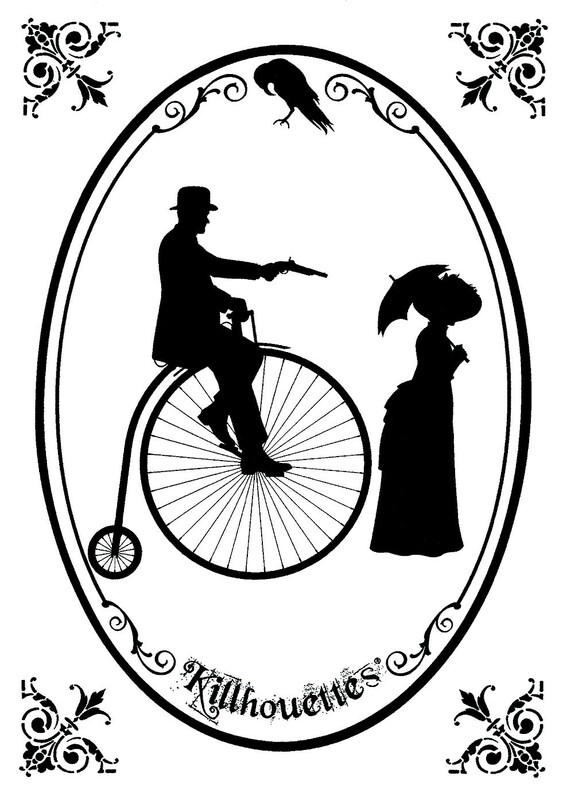 John Fair has given the old-fashioned art of the silhouette a digital upgrade and introduced it to the dark side of the Victorian era with his clever—and cleverly named—Killhouettes. 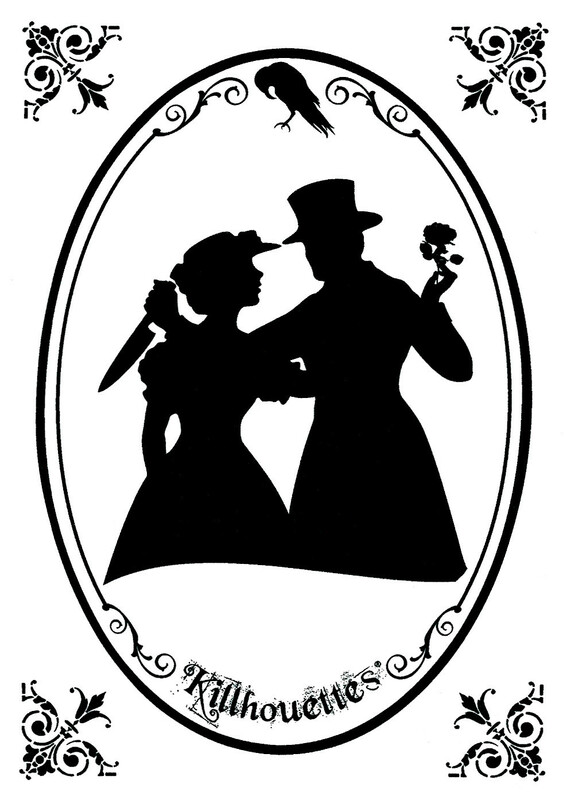 Years ago, knowing of my love for silhouettes and my morbid fascination with Jack the Ripper, my sister gave me “A Rose for Lady Ravencourt” as a birthday gift, because the image reminded her of the infamous serial killer. Instantly smitten, I jumped online and found the full Killhouettes lineup of criminal profiles. In addition to offering 5×7” prints for sale on the website, John Fair is active on the Killhouettes Facebook page, where he regularly posts new designs and special, limited-supply items, such as mini Halloween lanterns, door hangers, postcards, and temporary tattoos. 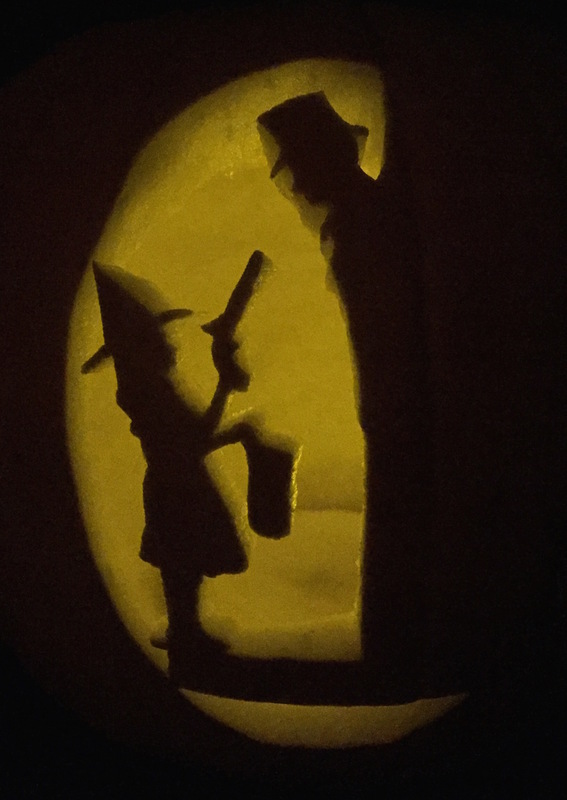 Halloween is in less than a week, so whether you decide to carve a knife-wielding “Isabel” into a pumpkin or hang a “Jumping Rope with Claudia” on your wall, it would be a crime not to get the complete series. At just $6 each, including shipping, these sick silhouettes are a killer deal. To view both current and past Killhouettes, search Google Images. Spring has officially arrived and Easter is one week from today, so the time draws nigh when I must dye! 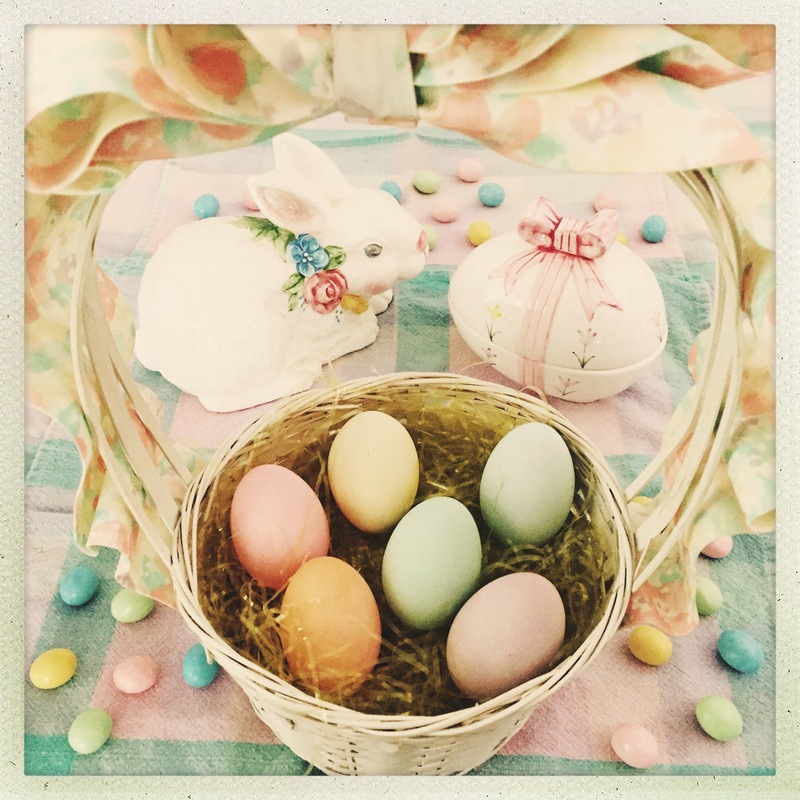 No, I’m not starring in an all-female Passion Play, I am speaking of Easter eggs, those colorful capsules that—in a just world—contain chocolate and jelly beans, but, more likely, encase your breakfast or lunch for the next week or so. When it comes to decorating for the holidays, I’m a traditionalist who likes to stick with the tried-and-true, but I am not a fan of hard-boiled eggs, nor do I relish blowing slimy innards out of a shell (a task I enjoy about as much as hollowing out pumpkins for carving at Halloween). The solution: EggNots. 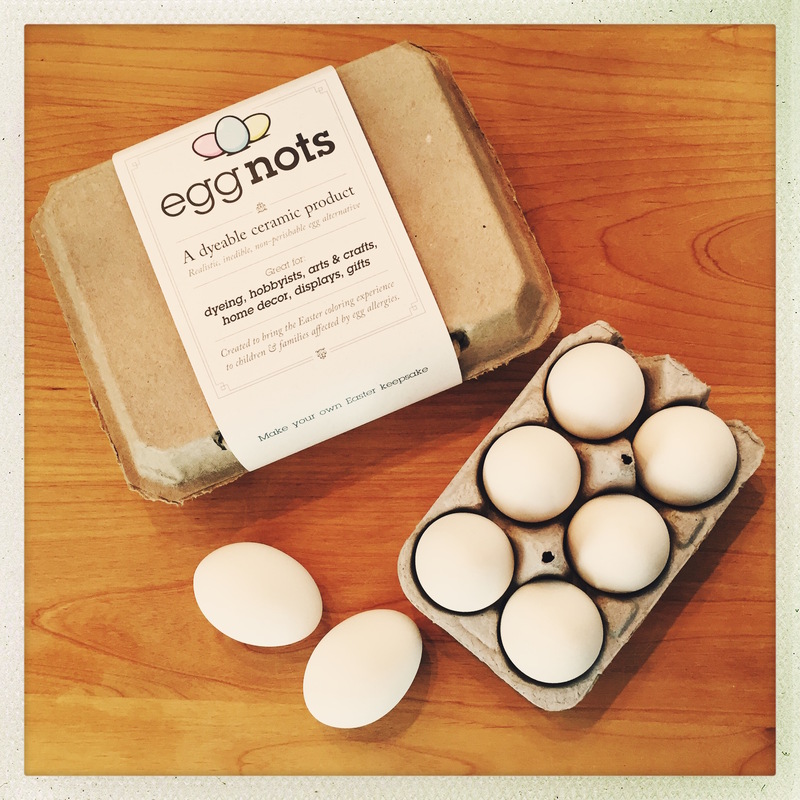 EggNots are ceramic egg alternatives that look, feel, and dye just like real eggs, but are perfect for vegans, those with egg allergies, and lazy people with strange hang-ups (ahem). They are ready to use right out of the carton—no boiling, blowing out, or patching holes required. I like to scatter a table or fill a bowl with solid-colored eggs in a variety of springtime pastels, but the blank white canvas of these ceramic spheroids inspires a plethora of creative ideas, so don’t put all your EggNots in one Easter basket. 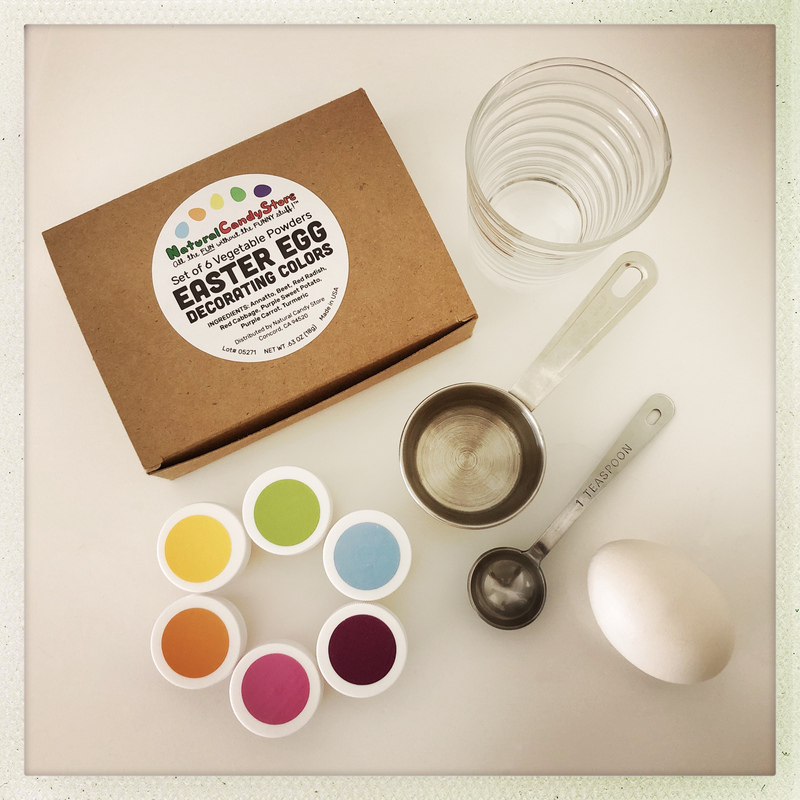 You can decorate eggs for any season or reason and use the company’s egg hangers to display your artistry. 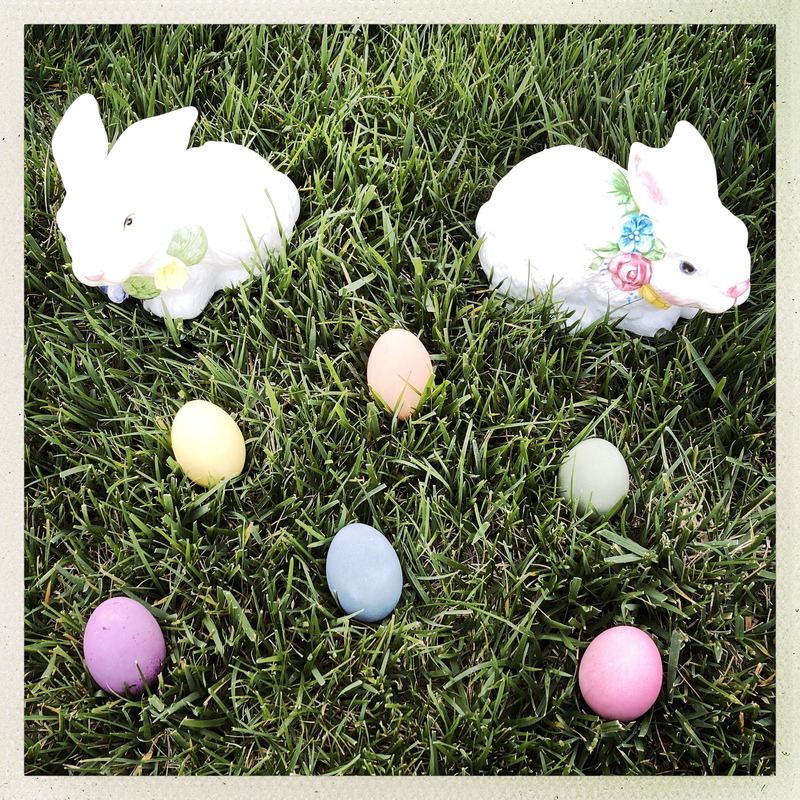 If you’re stressed about Easter or springtime decorating, don’t lay an egg. Give yourself—and the hens—a break and crack open a carton of EggNots.